Service of process is determined by state law, through the Florida Rules of Civil Procedure. According to Florida law, service is accomplished by handing your spouse a copy of the divorce petition or leaving copies at his home with an individual 15 years of age or older who also lives in the home. Service provides your spouse with notice of the divorce filing and an opportunity to respond to the divorce petition. After your spouse receives a copy of the divorce petition, he will have 20 days to respond by filing an answer. The 20 days does not include Sundays or legal holidays. You can choose to have the Broward County Sheriff serve your spouse or hire a private process server to handle this requirement. The Broward County Sheriff can serve your spouse with your divorce petition. After you file the divorce petition, the clerk will issue a summons to you. To have the sheriff serve your spouse, take a copy of this summons and the divorce petition to the sheriff. The sheriff may ask for information about where your spouse works or lives. Provide as much information as you can to assist the sheriff with completing service. The sheriff will then attempt to serve your spouse, but if the sheriff is busy with other matters, it may take some time before it is completed. A private process server may be able to serve your spouse with divorce papers faster than the Broward County Sheriff, making a private process server a more convenient option in many instances. In addition, it may be easier to communicate with the process server and learn the status of your case than the Broward County Sheriff. However, a private process server can be more expensive than using the Broward County Sheriff. If your spouse completes a waiver of service of process, you won't need to have the sheriff or private process server deliver your divorce papers to him. A waiver is a court document in which your spouse agrees to waive the legal requirements of service. 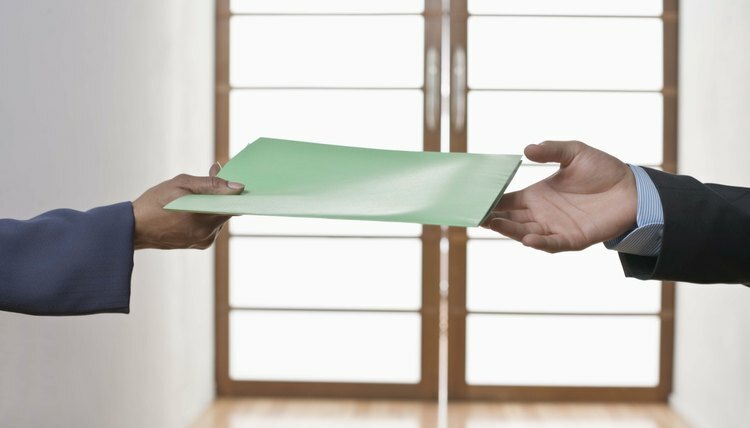 If your spouse agrees to waive service, you may serve him by mail or personally hand deliver the divorce papers to him. Hot Topics in Divorce Blog: Can a Judge Deny a Divorce?